It is widely acknowledged that the workplace — particularly the technology sector — is rife with unconscious bias against women and other minorities. While recent initiatives to “break the glass ceiling” have been an exciting, galvanizing force, the pace and rate of change in gender equality has stalled or declined. McKinsey’s recent study found that it starts at the beginning: “Fewer women than men are hired at the entry level, despite women being 57 percent of recent college graduates. At every subsequent step, the representation of women further declines, and women of color face an even steeper drop-off at senior levels.” The result, according to the study, “…one in five C-suite leaders is a woman, and fewer than one in 30 is a woman of color." Real action is required from business, academic and policy-making circles to break this cycle by actively seeking, mentoring, investing in and championing founders, leaders and talent who are from under-represented groups. This is a key mission of The Collective Future™; a global group of leaders in the blockchain and cryptocurrency sectors formed in February 2018 at the Inaugural Women in Blockchain Summit, hosted by Future\Perfect Ventures. The Collective’s mission is to promote knowledge sharing, to foster diversity in the nascent sectors of cryptocurrency and blockchain technology, and to nurture the next generation of transformative companies and leaders who are developing and realizing the full economic and social potential of blockchain technology. The Collective will also establish a scholarship initiative in coming months. The Blockchain Inclusive and Diversity (BID) Pledge is a key result of the Summit, whose 20 attendees —leaders representing a cross section of legal, investment, technical and corporate expertise around the world — are initial signatories. 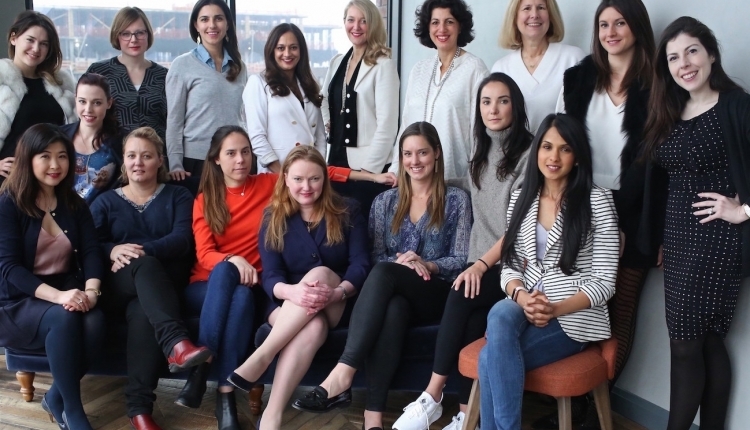 These women have invested in companies worth over $3 billion in value, represented over $800 million in capital raised through initial coin offerings (ICO’s) and founded companies that have been recognized as the most innovative in the sector. The BID Pledge is intended to harness marketplace and social momentum and deploy it into real action that will not only unlock significant new business opportunities and markets, but generate demonstrable, positive and global social impact. In addition, The Collective Future’s™ members have committed to establish a baseline on the number of minorities in the sector, track progress and release a yearly trends report. All signatories will also commit to state one specific action they will take to fulfill the mission of The Collective Future™. In addition, I pledge to take a specific action individually, at my company, academic institution or entity and will state it here. The Blockchain Inclusive and Diversity (BID) Pledge: An Initiative of The Collective Future™ petition to The blockchain and cryptocurrency industry was written by The Collective Future and is in the category Human Rights at GoPetition.